NAVY ASTON MARTIN POLO Stylish navy polo shirt made from 100% Pima cotton. Printed on the left chest with the Aston Martin logo. 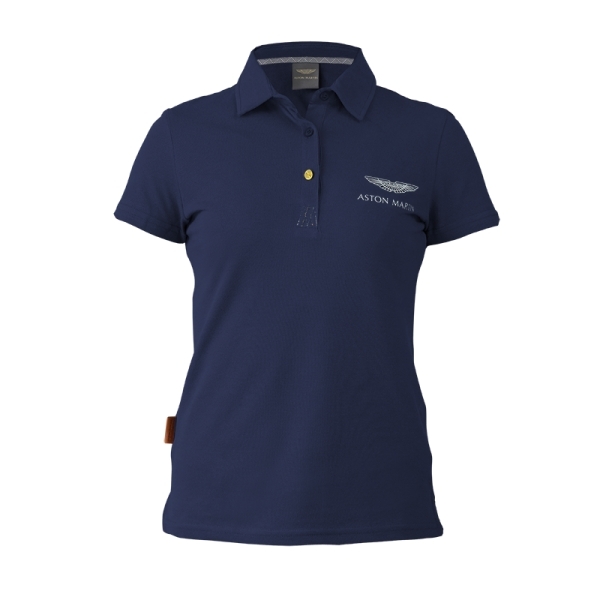 "NAVY ASTON MARTIN POLO - LADIES"
Stylish ladies navy polo shirt made from 100% Pima cotton. Printed on the left chest with the Aston Martin logo. Related links to "NAVY ASTON MARTIN POLO - LADIES"